A few weeks ago I got a ton of goodies in the mail thanks to BibRave! Included in the pack of goodies was Clif Bar Shot BLOKS. 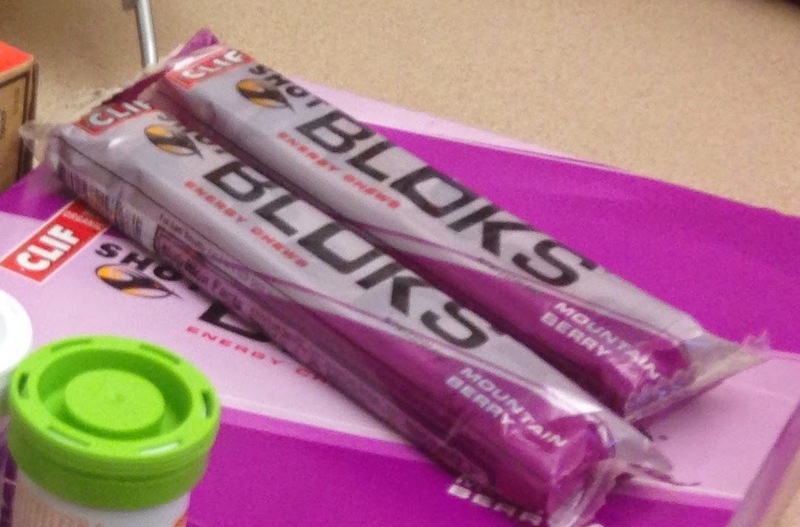 When I trained for my first half marathon, I thought any running gel was disgusting so I happily started taking BLOKS. Except for some reason I stopped…but now I’m back on these chews! All the flavors you can get from BLOKS! In the past few weeks that I’ve had these BLOKS, I fueled a half-marathon, a short run, and my post law school class hunger. I should mention that these are meant for fueling endurance runs but it was so tasty that I just started eating them like fruit snacks one night after class. During the half-marathon, these weren’t hard to chew and were delicious. I was really hungry during the race and these really helped my hunger issue. Since there are 7 bloks in the package, it’s recommended you take 3 every hour. I was so hungry that I ate 2 of my roomie’s before the race, and half during the first 6 miles and the last half around mile 8. After that, I was fine. I wasn’t even hungry after the race. I also had some water after each BLOK I took. I stopped using BLOKS two years ago and switched to their gels (citrus flavored) but I’m back on the BLOKS train. Also, I liked that I was chewing on something instead of slurping down gloops of gels. There’s something about the act of chewing that just makes me think I’m full (i.e. when you have a smoothie versus just eating the fruits). These aren’t as compact as gels but if you take scissors and just cut the package in two, they are easier to put into different running pockets. That being said, it fit nicely into my running belt. Finally, the 3 of us (my roomie & sister – both pictured above), all agreed the flavor was delicious. Not to sweet, just enough flavor. It really does remind me of a fruit snack/chew. The sis and I already decided to fuel the NYC Marathon with these! The first time I tried BLOKS, I bought it at my local running store, JackRabbit. You can find these at most sporting goods stores or just order online on Amazon or their website! Disclaimer: I received a complimentary shipment of Clif BLOKS through BibRavePro ambassadorship. These are my honest opinions. I too, hate gels, but love the Clif Bloks! Ah they're so good! Just like fruit snacks. I need to give these a try! So good! It's like eating a fruit snack. I do like the mountain berry and citrus! Agreed – makes long runs worth it.